Do you have cause for concern? Are you a business or homeowner that has seen irregular health symptoms emerge in you or those in your care? Mold exposure can eat away at your body’s ability to fight infection or function properly. Recognizing that what is occurring is not the new normal can help you decide on why enlisting a professional Manhattan mold removal team may be the next best step. – Breathing Problems: experiencing asthmatic symptoms or trouble breathing is often linked to mold exposure. – Irritated Red Eyes: if you are consistently battling itchy red eyes, mold could be the trigger. – Unexplainable Skin Conditions: hire a mold expert if instances of hives, rash or irritated skin crop up. – Frequent Mold-triggered Headaches: mold can cause dangerous brain swelling. – Vertigo: mold negatively affects your sense of balance. – Multiple Cases of Memory Loss: don’t hesitate to get help and get out quick if numerous people are having brain fog. Every day people suffer needlessly, dealing with health symptoms that could be preventable with expert help. Our Manhattan mold removal professionals at Stern Mold understand the importance of keeping harmful mold far away from families, friends, and colleagues. 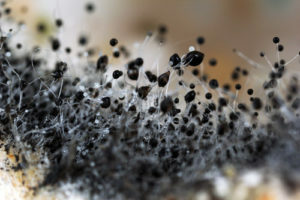 We know that mold exposure today can lead to serious health problems in the future. If you need help determining the cause for alarming health issues affecting your life, contact Stern Mold today. If it’s a mold problem we’ll confirm it and help you return to your normal, healthy, mold-free lifestyle!